In Mirian Kay's press materials, the Toronto songwriter says, "I am never afraid of making mistakes and falling flat on my face." Luckily, she doesn't fall flat on her face in her new performance video for "Wish I Never" for Current Sessions Productions, since it goes off without a hitch. In the clip, we see a single roaming shot on Kay performing at the Toronto music store Musideum. 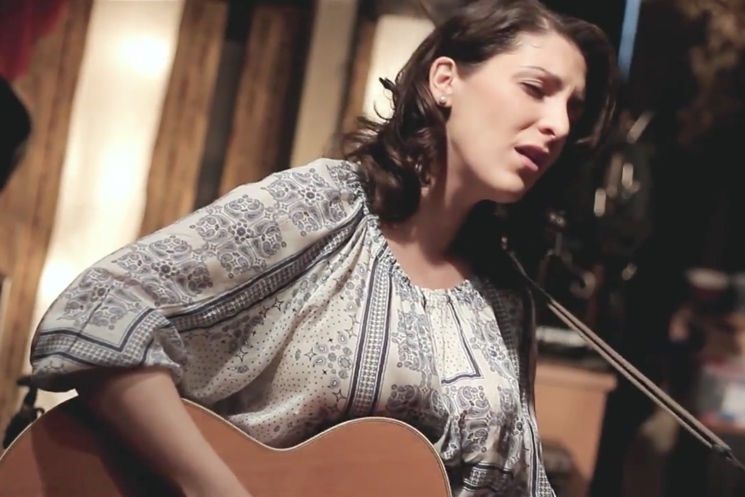 She's surrounded by different instruments, but she performs the song entirely on her acoustic guitar, plucking jazzy folk progressions while emoting with emphatic vocal runs. Hear it below, and see Kay's upcoming tour schedule here. We recently saw a Current Sessions performance from Texas King.